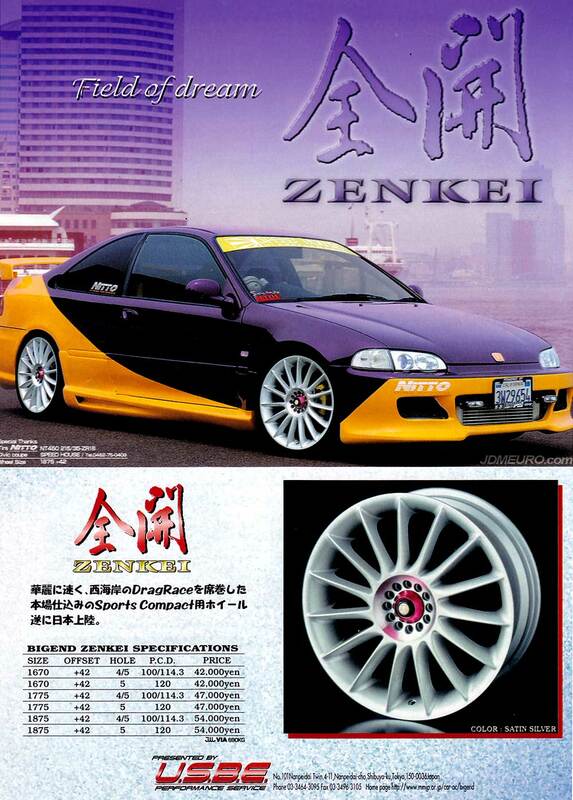 The Enkei Zenkei were JDM Wheels produced by Big End for the at the time booming Sports Compact Market. The Enkei Zenkei could be had in 18″ diameter in a 4×100 patern which was popular at the time. The Enkei Zenkei was available in sizes from 16×7 up to 18×7.5. Pictured are the Enkei Zenkei on a Honda Civic EG Coupe. Hi i just got a pair of these 18/7.5 zenkei wheels for my wrx. All i need now is the Hubbore size of these rims so that i can properly fit these rims onto my wrx.